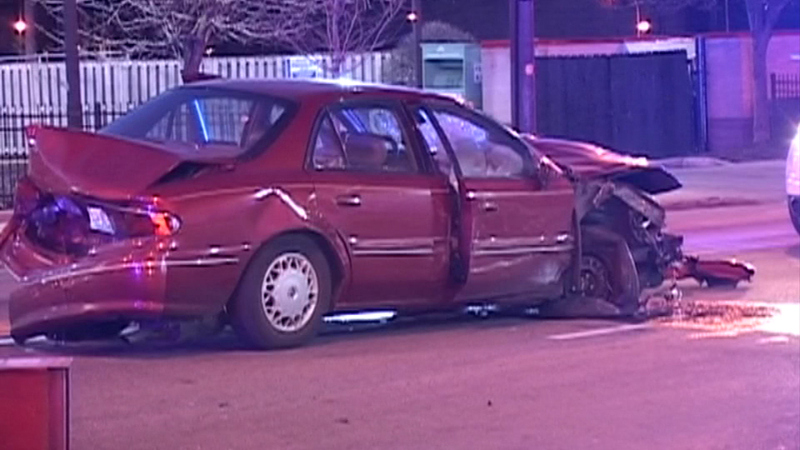 CHICAGO (WLS) -- Chicago police say a pedestrian was killed when struck by a vehicle in the wake of a domestic argument early Sunday morning. The incident took place at Garfield and State in the Chicago's Washington Park neighborhood around 3:05 a.m.
Police say a man and woman were involved in a domestic related argument. The man drove off and the woman followed. Police say the woman then struck the man's vehicle, causing him to lose control and hit a pedestrian. The pedestrian was taken to Stroger Hospital where he was pronounced dead. The woman is in custody and charges are pending against her, police say. Police are also questioning the man.